This well-designed pet harness and leash set is in great material and shape. 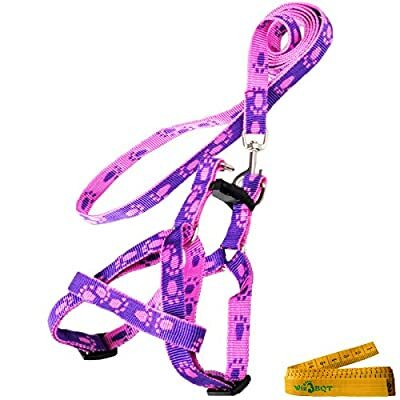 This pet harness and leash set is made of soft & sturdy & high quality material. It's soft and durable. It's comfortable for you to hold it and for your pet to wear it. And it can be used for a longer time. 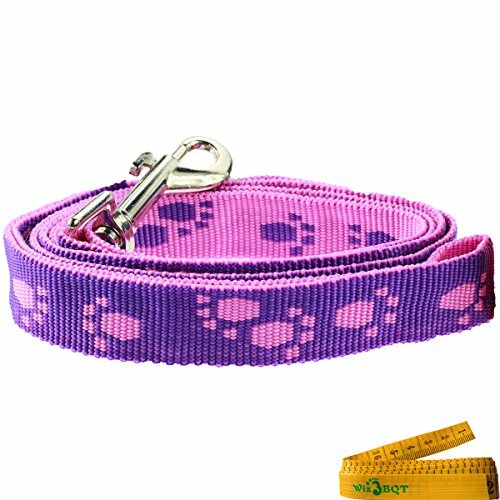 This pet harness and leash set is cute and beautiful. It's perfect for daily walking, jogging or some other occasions. 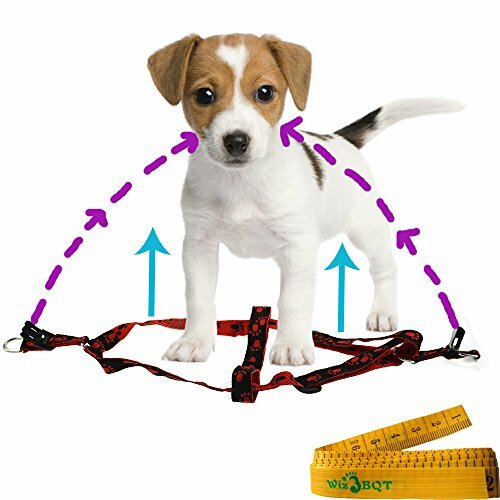 What's more, it will help to make your pet stay safe while you and your pet go out. You'll also receive a bonus of Wiz BBQT tape. It can help to record the growing of your "baby". Also, it's a good helper while you shop online. Please check your package and make sure you receive the tape. Size Made of soft & sturdy & high quality material, more comfortable and durable. Help to keep your pet safe. 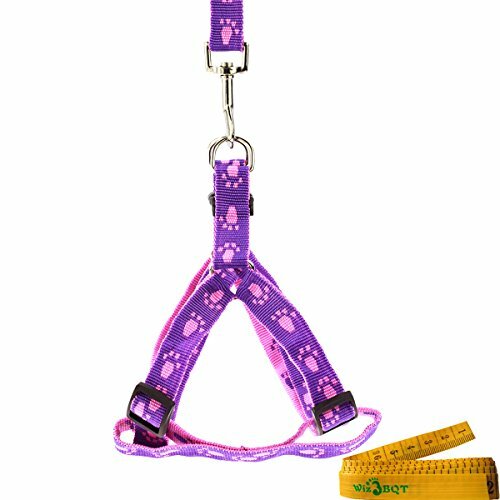 Adjustable by the plastic buckles, fits your pet better. Strong break-away closure, easy to wear and take the harness off. Cute & beautiful footprint images, make your pet more adorable. 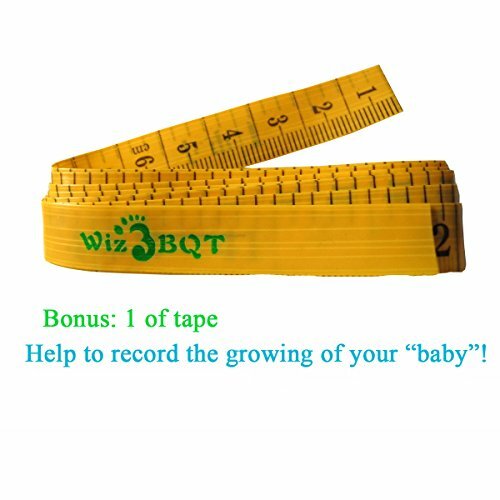 Bonus Wiz BBQT tape: help to record the growing of your "baby".